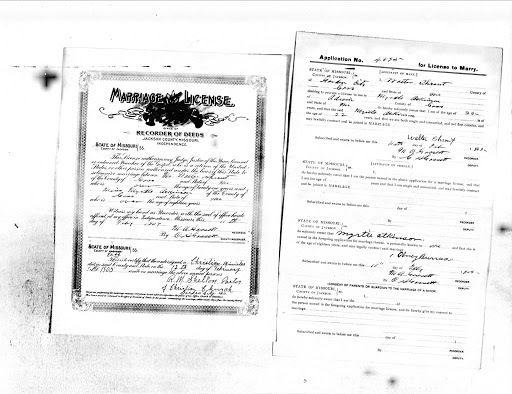 Family history is often dismissed by historians in the academy as something less than, but I’ve been thinking for awhile that the particularized approach that family history takes is a valuable tool, and might provide valuable lessons for historians. One of the best assignments I’ve ever had to do was for a course on immigration, in which we were given the name of a person in Chicago from a particular background at a particular time (in my case, from Ireland and living in Chicago in the 1880s) and asked to find out as much about them as possible, and to write about what that person could and couldn’t tell us about other immigrants from that background. You can find out a lot about a person just by tracking where they live, when they married, who their neighbors were, and how those things change over time – and a representative sample of, say, people of Irish ancestry living in Chicago in 1880 can begin to describe the broader population. Some things, however, are peculiar and particular. I find it very strange that documents so personal to me are out there on the internet for anyone to find, but that’s another post. I think there is a story here about gender relations on the frontier in early America, about trials and capital punishments, and about how people treat, create and obscure memories of their pasts. But for now its just family history.